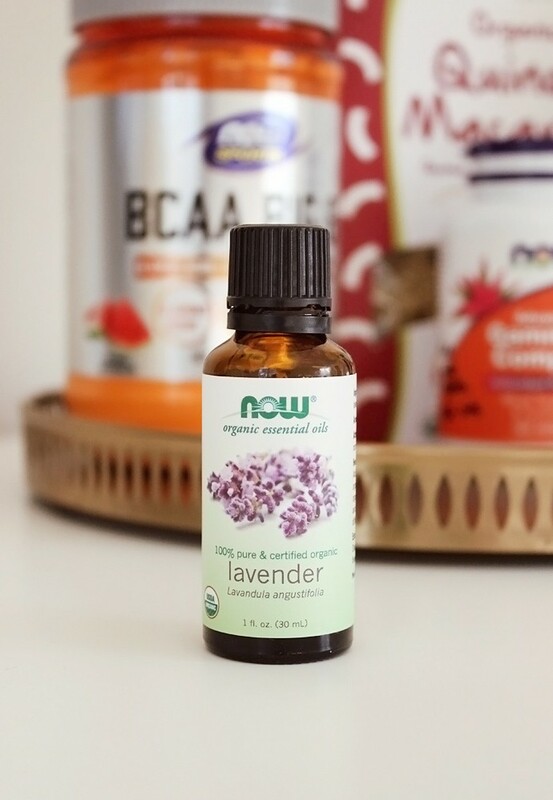 This post comes with a MAJOR SPOILER ALERT! I know some of you bought or plan to buy POPSUGAR Must Have x Neiman Marcus boxes as gifts for yourself or loved ones, so this is your chance to click away. 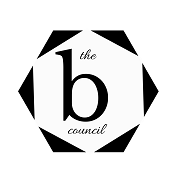 Now, if you want to be spoiled, today I am sharing full contents of the coveted box, which retails for $250 and contains over $750 worth of luxurious Holiday gifts inside. The overall theme/vibe of the box is the ultimate cocktail soiree and the glitz & glam of holiday festivities. 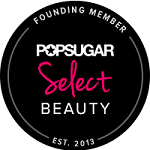 In the past, POPSUGAR Must Have x Neiman Marcus boxes have sold out completely, although I don’t remember that happening last year. Without further ado, here’s what you, or your lucky giftee, can expect to receive in their in POPSUGAR Must Have x Neiman Marcus box this year! 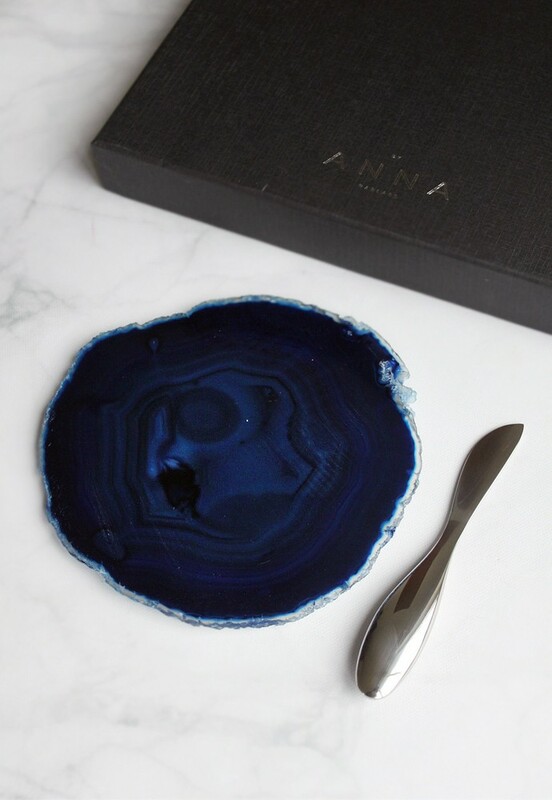 2 // Anna by Rablabs Forma Spreader Set ($85) – This beautiful set features a serving tray made of a polished natural agate slice and a futuristic-looking serving knife. The gold box will contain Sand & Gold duo, and the silver box will come with Azure & Silver [like the one in the photo]. 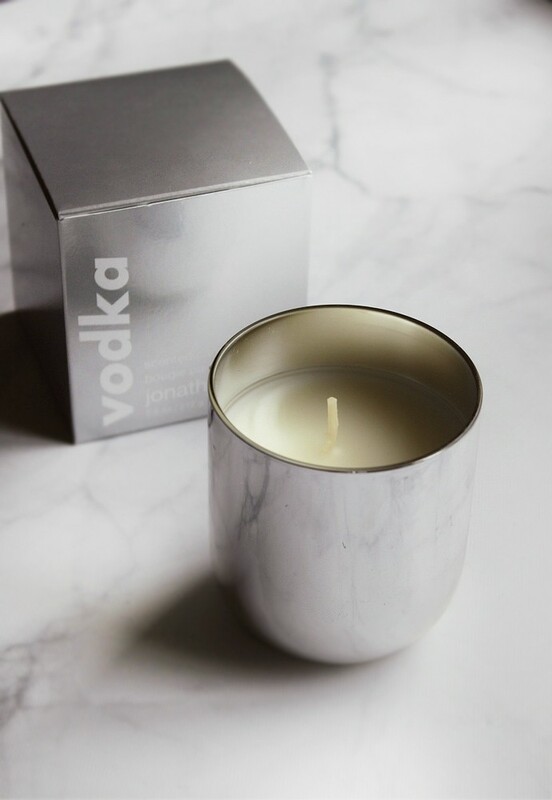 The quality of these is outstanding, and I think this would make one of the most memorable hostess gifts. Each stone is unique, so the color may vary. For instance, my platter was dark blue, while the same one in the promo photo was light blue with visible pale blue veins. 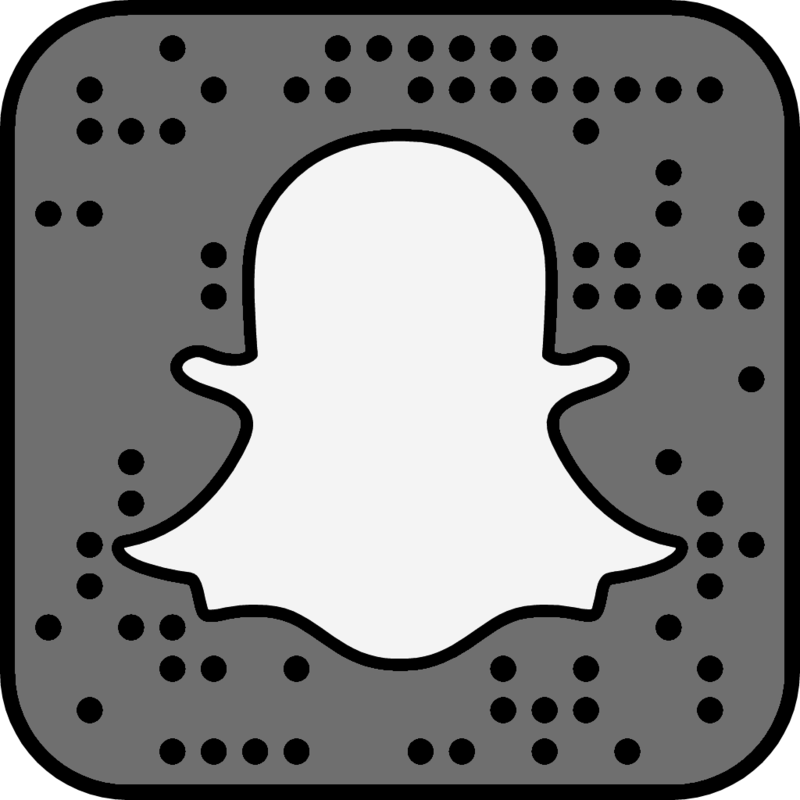 3 // Kim Seybert Inc. 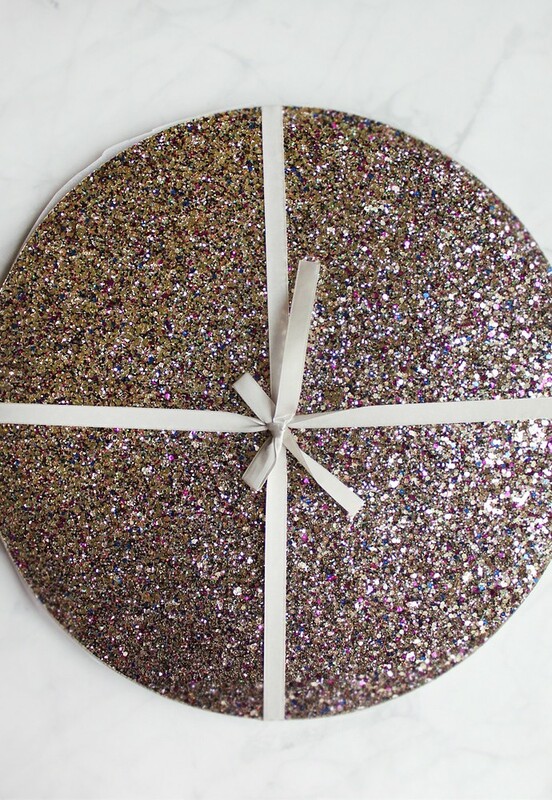 Spotlight Placemat ($112) – These glittery placemats are nothing but festive, but I personally wouldn’t use them for everyday meals – they are just too nice for daily messes. My photos don’t do the mats justice, they look a lot fancier in real life. My main concern was potential glitter fallout, but surprisingly, there wasn’t much, if any at all. 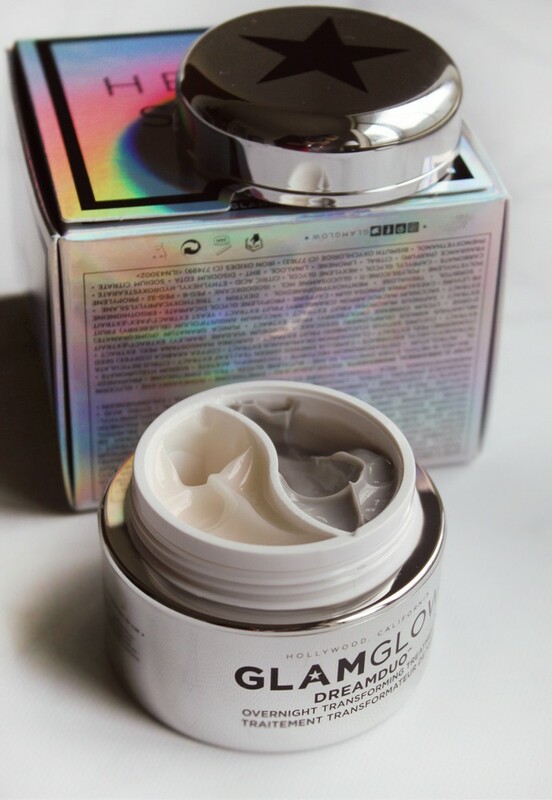 4 // GLAMGLOW Dreamduo Overnight Transforming Treatment ($59) – I already reviewed this duo here, but long story short, I love the formula and I think it does make a difference overnight. 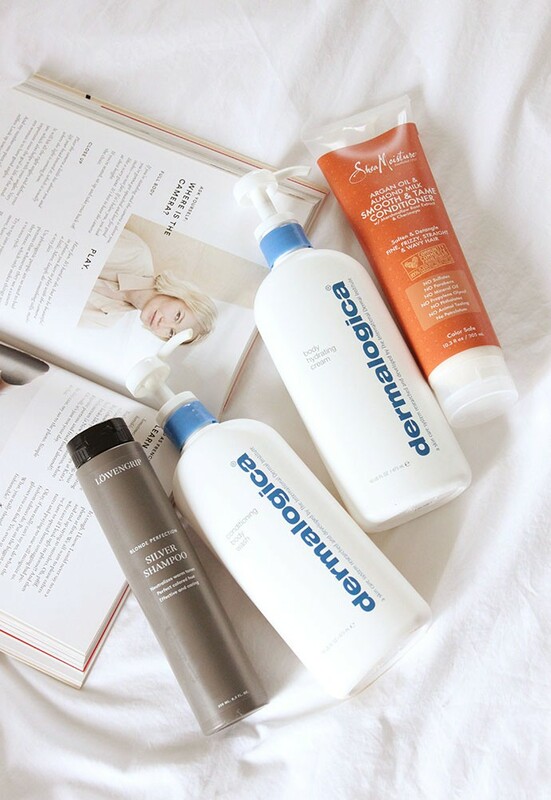 It plumps the skin with so much moisture that I wake up looking like I slept an extra 2-3 hours. 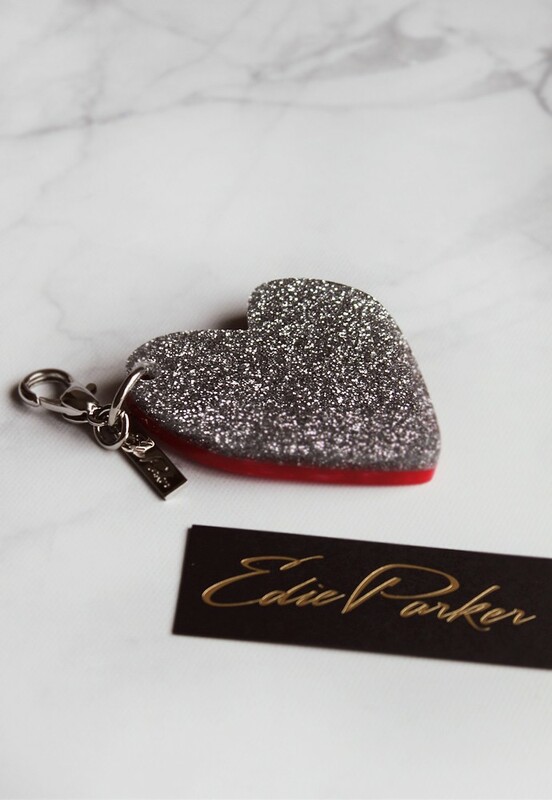 5 // Edie Parker Heart Charm ($125) – This chain is not something that aligns with my personal style aesthetic, but the 90s-inspired products are very popular with teens and 20-somethings right now. This two-sided acryllic keychain will make a lovely gift for someone who will appreciate its unique charm. Again, there are two color variations depending on your box type: Pink & Silver for the silver box, and Red & Gold for the gold box. 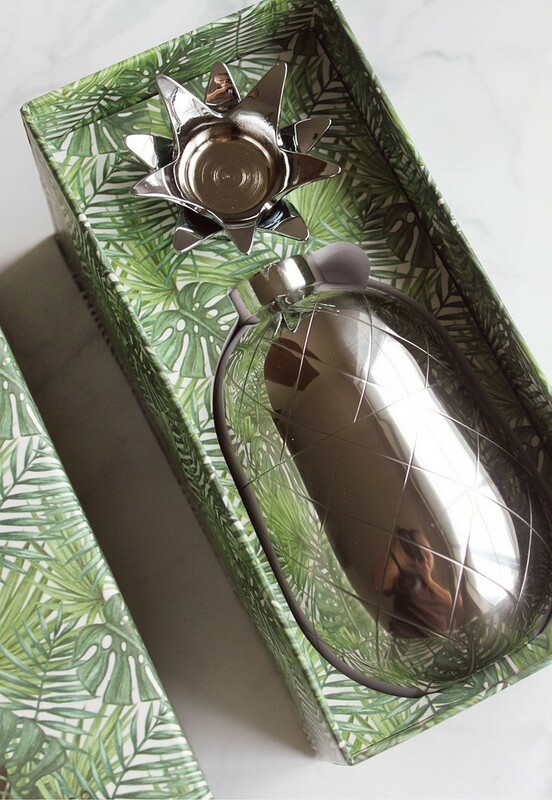 6 // W&P Design Pineapple Cocktail Shaker ($80) – This cocktail shaker is larger than I thought it would be, there’s easily enough room to mix two or more drinks per batch. The body is lightweight, while the crown is quite hefty – we’re talking paperweight kind of hefty. Depending on your box type, you will receive the shaker in either Gold or Silver metal. 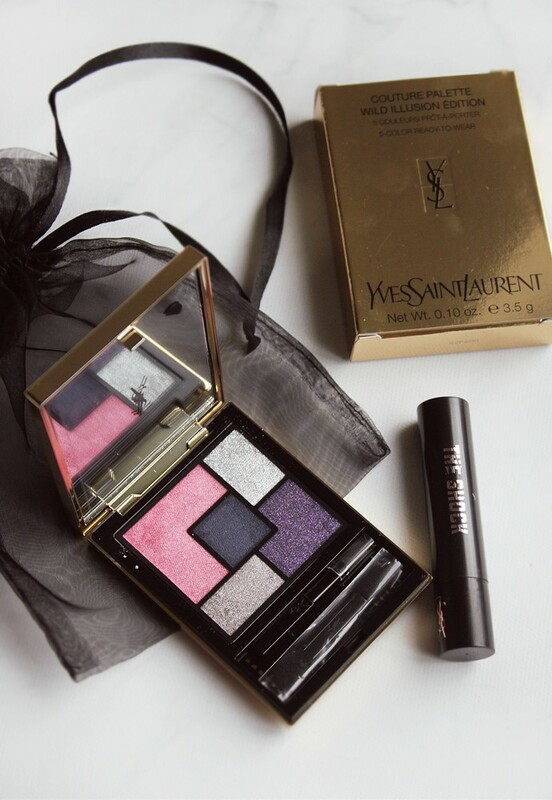 7 // Yves Saint Laurent Wild Illusion Palette & The Shock Mascara ($60) – YSL palettes are actually really nice, and this one is Limited Edition, exclusive to Neiman Marcus. As an added bonus, the box also comes with a generous sample-sized tube of The Shock Mascara. By the way, I own the Saharienne palette, and use it fairly often, because YSL always manages to pick colors that all perfectly complement each other for their famous quints. 8 // Chan Luu Swarovski Pearl & Crystal Necklace and Earrings Set ($195) – This is one of the first spoilers that came out, and it immediately made me crave this box. The necklace and earrings are very delicate in person: they look expensive, and of course the quality is top notch. My set came in a beautiful floral silk drawstring bag, inside a silk-covered gift box. The presentation is just beautiful! The earrings are large but because of the design they don’t look bulky at all. The necklace is the perfect size and perfect length to be worn every day as well as for special occasions. Depending on which box you choose, the set will be either in Silver or Gold metal. 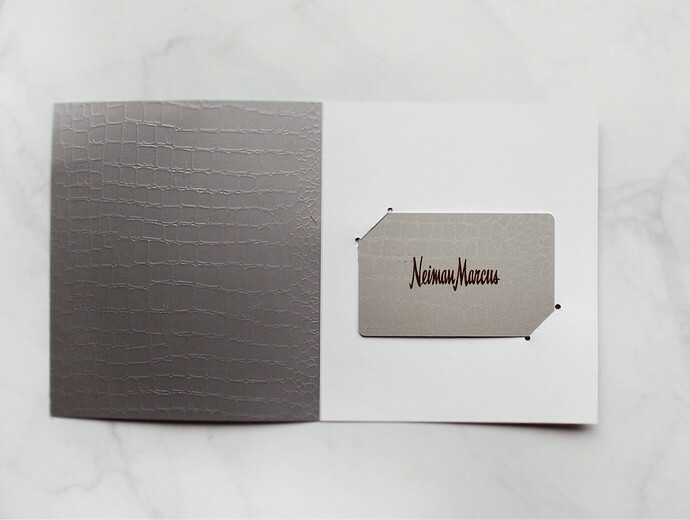 9 // Neiman Marcus Gift Card ($25) – A little something-something from Neiman Marcus, this $25 gift card can be spent on anything your heart desires at neimanmarcus.com online and in stores. I hope you enjoyed my POPSUGAR Must Have x Neiman Marcus 2017 Box review! As you can see, the box definitely has a theme to it. 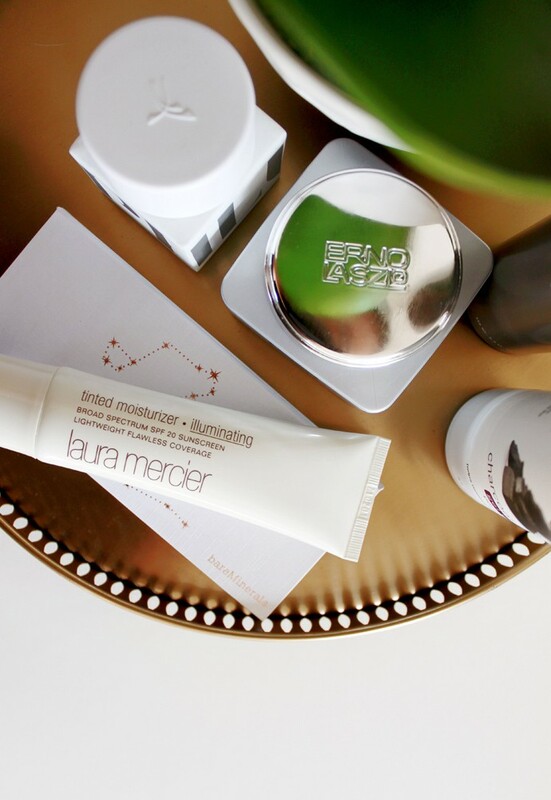 The products are festive, glamorous, and make me want to host parties and go to parties this holiday season. My favorite products in the box are the cocktail shaker, the jewelry set, and the serving tray & knife duo. 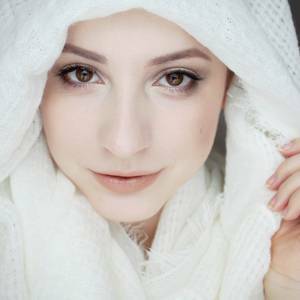 I am also excited to receive a spare of GLAMGLOW overnight treatments, and the gift card that will go toward RMS Beauty makeup palette I’ve been eyeing. Here’s the link to check out POPSUGAR Must Have x Neiman Marcus 2017 Box, keep in mind that they’re selling out fast. 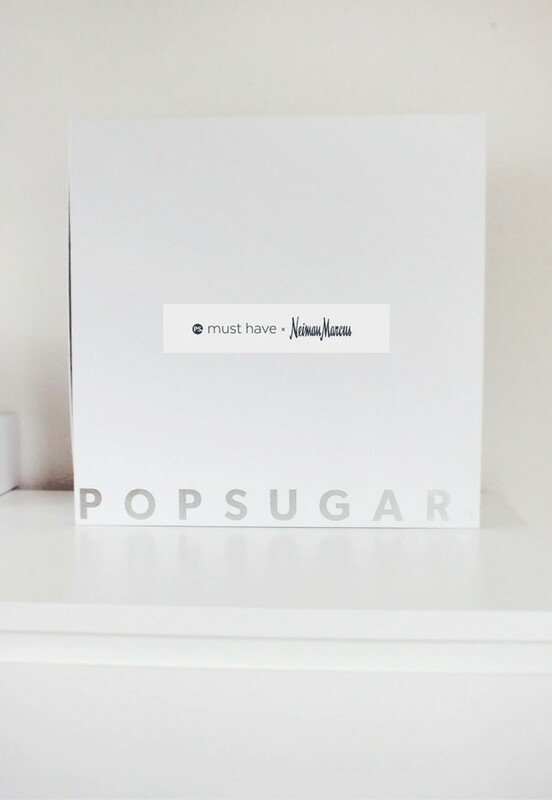 What do you think about POPSUGAR Must Have x Neiman Marcus 2017 box? Would you buy one for yourself or to break into little gifts? Do you prefer the silver or gold theme? Let me know in the comments below!